« What’s Next? A No Breathing Rule? A man has been charged with possession of class-A drugs after children out trick-or-treating for Halloween were given bags of cocaine. Snap bags containing the white powder were handed to youngsters taking part in traditional Halloween fun in Royton, Greater Manchester, at around 7.50pm on Wednesday evening. The bags were taken to police and examined and confirmed to contain cocaine. Donald Junior Green, 23, has been charged with possession of class-A drugs and is due before Oldham magistrates’ court on Friday morning. 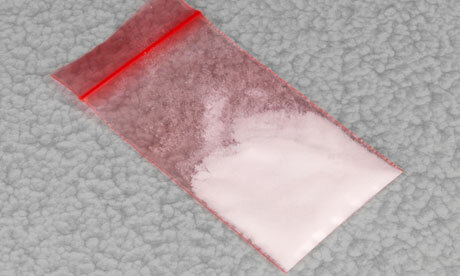 A 21-year-old woman was arrested on suspicion of possession of class-A drugs and was later released without charge. Superintendent Catherine Hankinson, of Greater Manchester police, said: “The parents and police acted quickly when this report was made, in the interests of public safety. This entry was posted on November 2, 2012 at 5:40 pm and is filed under Drugs. You can follow any responses to this entry through the RSS 2.0 feed. You can leave a response, or trackback from your own site.